Leave it to Facebook to help you determine which U.S. President you are, what horror monster you’d be, your favorite color and if you’ve ever attended college. Online quizzes are the new GED; and you know you’ve taken at least one (dozen). I thought I’d create a quiz to determine what your Halloween candy behavior says about you. It is entirely accurate, so be aware, you might learn something disturbing about your personality. 1. 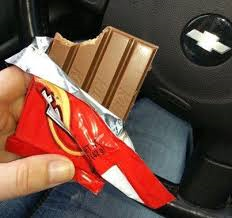 Do you hand out: a) king-size Kit Kat bars, b) fun-size Kit Kat bars, c) what’s a Kit Kat bar?, or d) apples. 2. Do you search your kid’s Halloween bag for: a) full-size chocolate bars, b) unwrapped candy, c) isn’t everything mine already? or d) apples stuffed with razor blades. 3. 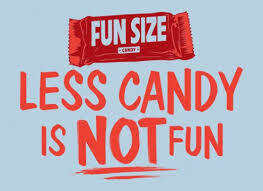 How long did your Halloween candy last when you were a child: a) a few weeks, b) a few days, c) a few hours or d) I gave it to my little brother. 4. Which Halloween candy will get your car egged: a) Tootsie rolls, b) Hubba Bubba, c) pencils/erasers, or d) apples. 5. How much do you spend on Halloween candy: a) more than $100, b) between $50 and $100, c) less than $10, or d) I don’t buy candy. 6. What do you do with leftover Halloween candy: a) give it to a children’s shelter, b) give it to neighbor kids, c) you’ve already eaten it, or d) I don’t keep candy in my home. 7. Which of these is NOT appropriate to give out on Halloween: a) toothbrushes, b) fruit, c) sample-size dish soap, or d) candy. 8. What is your Halloween candy of choice: a) candy bars, b) suckers, c) chewy taffy or d) apples. If you answered mostly A, you are trying too hard. Kids don’t appreciate your efforts. They’ll probably kick your pumpkins before they leave. If you answered mostly B, you’ve put the holiday in perspective, but kids will still kick your pumpkins, and probably steal your Halloween lawn ornaments. If you answered mostly C, you are most likely male and didn’t even realize it was Halloween until strange children in costumes knocked on your door, begging for food. Your car will definitely get egged. If you answered mostly D, you are obviously a health nut, and need to be slapped. Not only will children avoid your home, they will place warning sides on your fence letting the neighborhood know it’s not worth coming to your home. And they’ll kidnap your cat. When it comes to Halloween candy, there really are no wrong answers. If you drop in it my bag, I’ll most likely eat it. 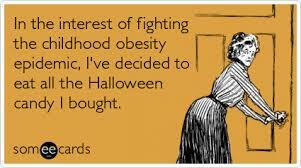 And I won’t kick your pumpkins, either.